All parents look upon their infants and wonder what they will grow up to be and what they will do with their lives- it’s part of being a parent. 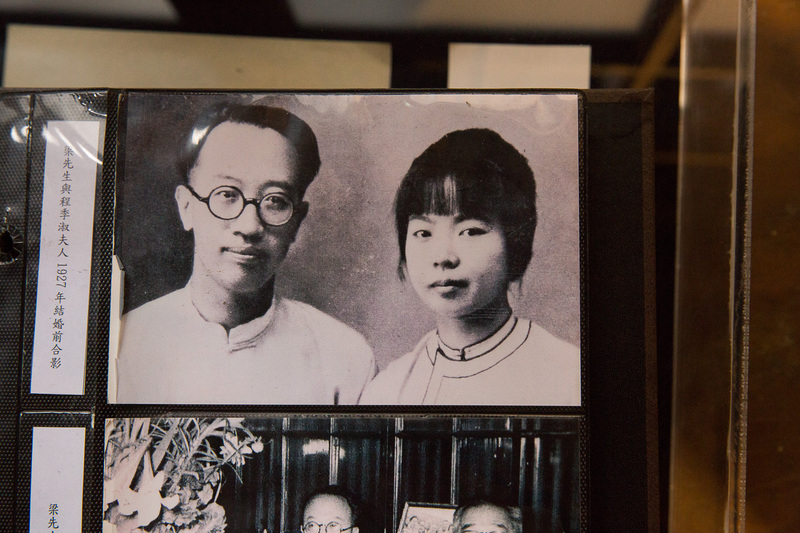 When his parents looked upon Liang Shih-Chiu in 1903, they had no idea that their son would leave such a cultural mark upon China and Taiwan. I respect scholars. They have a good understanding of the value of knowledge. They know the importance of keeping what was alive. Everything we have is built upon the shoulders of those before us. There are great shapes of students and teachers in their various fields- all feet on shoulders and then those shoulders propping up new feet as questions are answered and further questions asked. Curiosity and inquiry have taken us far from where we started so many centuries ago. There are scholars who seek answers and solutions and then there are scholars who wish to expand and enrich the human experience. 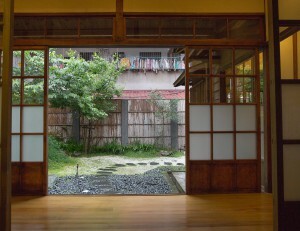 I visited Liang Shih-Chiu’s restored Japanese house on a rainy day on the 4th of May. I hadn’t particularly planned to visit on this day, but later when I was sifting through my notes, I realized that the date was symbolically important. The May Fourth Movement started in Beijing in 1919. It was a political and cultural movement that shifted the social structure of China in a few ways. At the time, written Chinese was an older version of the language. It was only offered to a comparatively small portion of the population- the educated portion. The movement was the starting point for modernizing the writing system to allow access to all. It was also the beginning of Liang Shih-Chiu’s strong belief that literature should be available to everyone. Liang Shih-Chiu is well known for his Chinese translation of the complete works of Shakespeare and an extensive bilingual Chinese-English dictionary that is still used in Taiwanese schools today. The Shakespeare translation is faithful towards the original work. It conveys both the beauty of the text as well as its less subtle innuendo and jibes. Liang Shih-Chiu wrote it in a way that is accessible to all people. It must have taken many thousands of hours to finish! Liang Shih-Chiu studied literary criticism at Harvard University. He was the professor of English at some of China’s top universities between 1926 and 1936. He relocated to Sichuan province during China’s War with Japan (1937-1945). 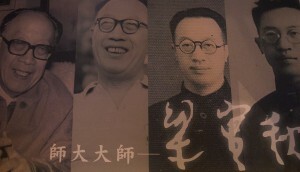 In 1949 he and his family left for Taiwan during the big changes in China’s political landscape. He lectured with devotion and passion at Taipei’s Shida National Normal University (Shida) for sixteen years. In my studies I have had fortune enough to receive education from a few teachers that taught me more than the groundwork of their subject. They ignited a passion; they gave vividness and a noted dimension to what they taught- they turned succulent that which was dry. I have no doubt that Liang Shih-Chiu was one of those teachers. Through his dedication he offered his shoulders to students to stand on and gave countless opportunities to thousands to better their lives through the English language. These are some of Liang Shih-Chiu’s achievements, but to get a fuller understanding of his colorful character I dug around for some special snapshots of his life. Two called for my attention: his charming account of the time he spent in Sichuan province and his daughter’s memories of the time the family lived in the home I visited on the 4th of May in Shida neighborhood. For most of China’s War with Japan, Liang Shih-Chiu lived without his family in Sichuan province in a rural area called Beipei. During this time, the Harvard educated city boy gained a first hand experience of life in the country. He was a father, a husband and a professor, but perhaps he was foremost a writer. During this time away he wrote a large number of beautiful essays about country life. With his keen eye and love for language, he managed to make simple daily events magical! He wrote about things such as handshakes, haircuts, exchanges between men and women, taking a bath and even toothpicks! 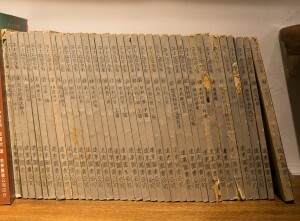 Years later a collection of these essays was published in Chinese in a book titled From the Sketchbook of a Cottager. This book is loved by many readers and these days Amazon even offers an English version of it. For many of his academic years Liang Shih-Chiu lived in a residence offered by Shida. The residence I was standing in just a few weeks ago. Family turn a house into a home and the stories they leave behind give greater significance to the space they inhabited. I tracked down some of these stories shared by Liang Shih-Chiu’s youngest daughter who is now in her eighties. She reminds us that her father worked every day of his life- except when Princess Black (their black cat) had her kittens under his desk in his study. For this, he took two days off. Thereafter he found another feline residence for the cat and her offspring. 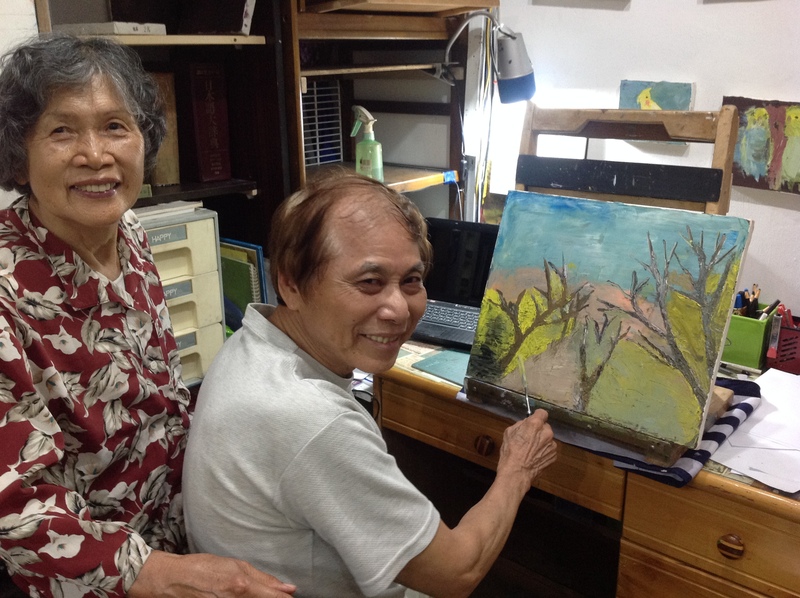 She speaks fondly of her father’s love for chess and tells us proudly about how, for most of his writing career, her father used traditional Chinese brushes and ink to write. He was a true scholar who placed value in the old way of things. The times her family spent under a breadfruit tree are most treasured. There were no air conditioners at the time, so the shade of the tree with the cool breezes flowing about it provided a point for the family to relax in each other’s company. Many good meals were eaten there. Many jokes shared. Many good memories made. Later on the family moved out. Over time their residence became one of many that fell into disrepair. 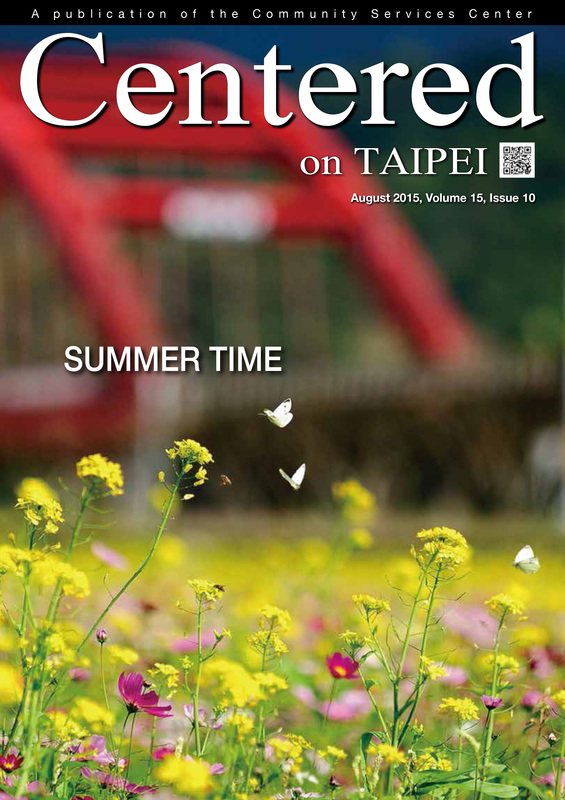 As a foreigner I delight in the historical architectural styles of Taiwan. It often saddens me when I see many of these structures from different cultures standing as husks of their former selves. Recently the government’s Build Operate Transfer (B.O.T.) restoration program has gone a long way to change this sad state. 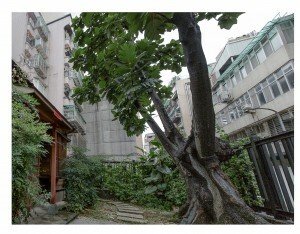 A retired professor and an artist now rent Liang Shih-Chiu’s rebuilt home. 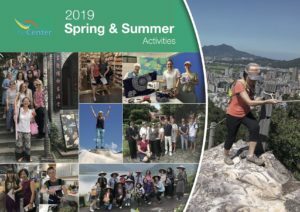 This source of so much creative writing now provides a space for cultural events, including art exhibitions, tea sessions and poets’ gatherings. It is well worth a visit. After you have enjoyed the space, I would suggest a short walk to another old house that was built in 1931 and has been the residence of two professors. These days it is a restaurant-tea-coffee shop called Qintian 76. They serve Japanese set meals and they also serve an afternoon tea. The cake is good, as is the tea. It’s always refreshing to find a restaurant that steps away from the generic- eating here feels more like you are eating out at an old friend’s home. There are different rooms to choose from. 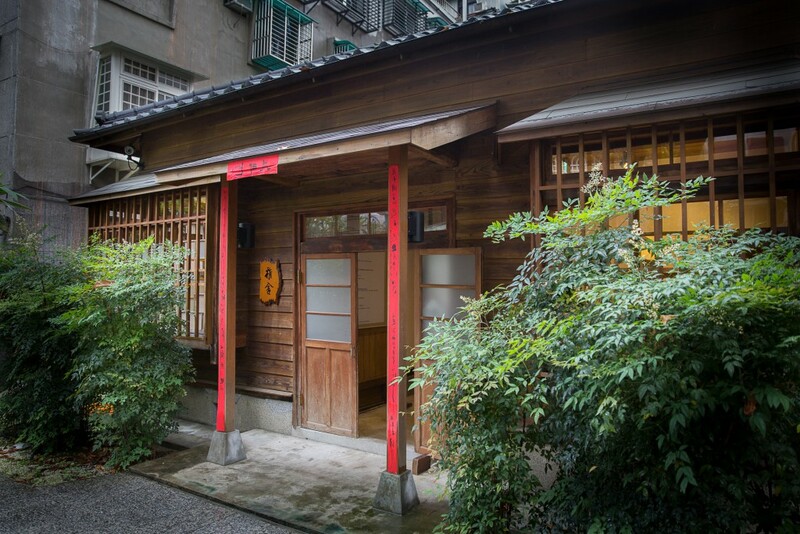 Each room has different furniture (Western styled chairs and tables or tatami mats with low tables). The decorations in each room are all unique. However, the polished wooden floors with the traditional wooden trimming on all the walls give a unified feeling regardless of the eclectic mix. 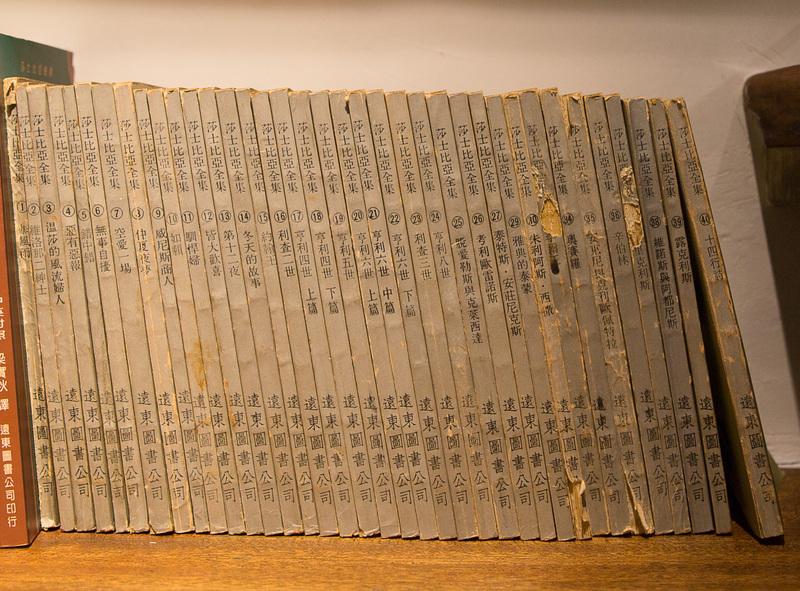 Qintian 76 has many stories of its own and an interesting secret that was unearthed. Professor Masashi Adachi was the first resident. 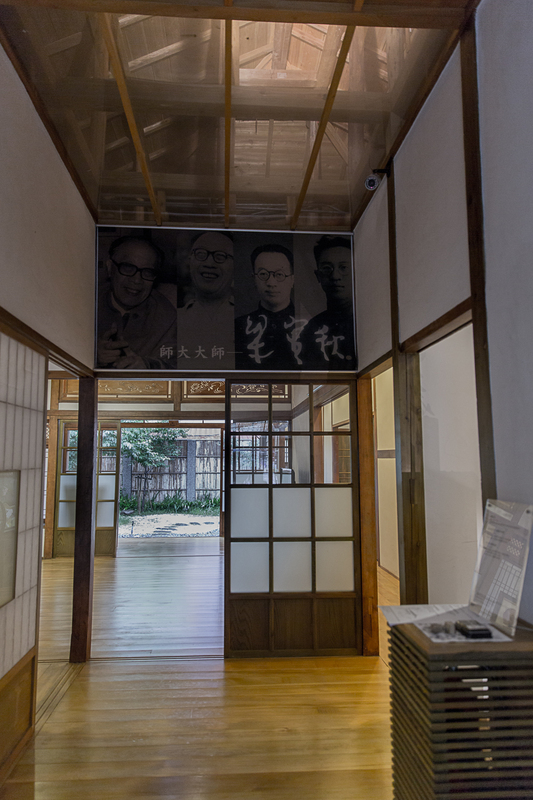 He left in a hurry for Japan and Professor Ma Ting-Ying H. took up residence in 1945. Some time after he settled in the house, Professor Ma Ting-Ying H. was contacted by the original owner (Professor Masashi Adachi). The two men had never met each other, but there was a certain kinship between them. They had common friends and both were well-educated men. Masashi Adachi told Ma Ting-Ying H. that if he dug in the back part of the backyard he would find treasure. Professor Ma Ting-Ying H. dug up a wooden box. Inside the box there were some precious porcelain items and an old Samurai sword! In the last few months my journey into the past has brought me to determined doctors, tea merchants, fortunetellers and educated professors. I may not always understand the culture on this island that surrounds me, but I truly feel that my respect, comprehension and excitement for it continue to grow. I’m not certain of what lies next on this path. However, I’m pretty certain that facts and tales together will meet me upon the road to offer another interesting story. When this happens, I hope you will join me for it.